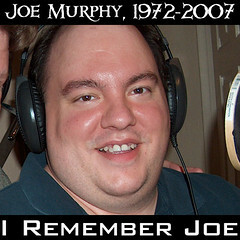 MAny minds and hearts are turning to our lost friend, Joe Murphy, who succumbed to Leiomyosarcoma on April 1, 2007. Tee Morris and Mark Forman have lent their visual talents to make the brilliant icons you see below. 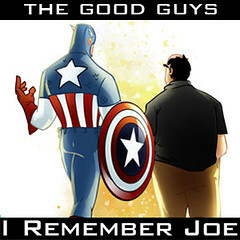 Feel free to download and use any of them as your twitter/livejournal/whatever avatar. Movie Reactions ——- with Spoilers. This one gets a little heavy. Many thanks to Tee Morris for being there, and helping to keep me on target. Whatever you know or can offer is greatly appreciated. A wonderful and generous listener has agreed to donate a new, tangible third place prize for the upcoming Watchmen give-away (rules described in this Unshow). If you take 3rd, you are eligible for a t-shirt from the Deadpan/Jack Mangan Spreadshirt store, max t-shirt value: $20.00 USD. First prize: A free copy of the Watchmen comic book, courtesy of awesome Cynful, of acynfulmind’s Podcast. Second prize: A $10 Denny’s GC, courtesy of awesome Brad P. from NJ, of the Whole Lot of Nonsense Podcast. Third prize: A free Jack Mangan t-shirt (valued at less than $20 USD), courtesy of awesome anonymous. End of ATTENTIONUPDATE, on to the regular show notes. This is a long one – but it was a conversation full of laughs. Thanks a million to Tee Morris for being a good friend, a fun guest, and a great onpod personality. Let it be noted – this Unshow is the birth of the Adrian Zmed Rule.